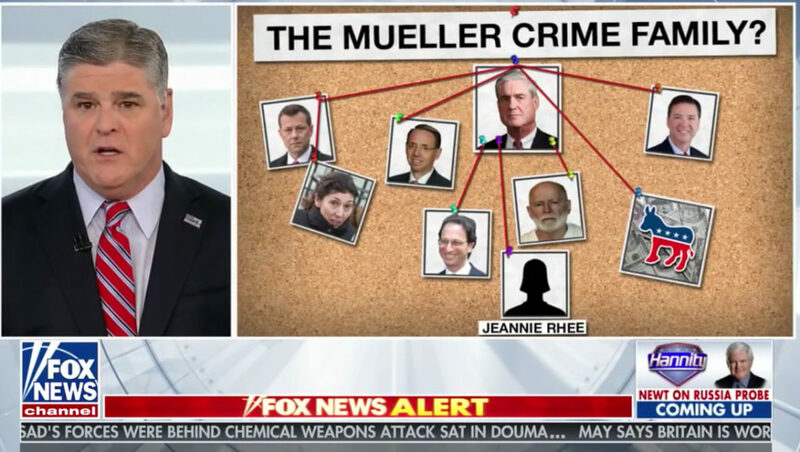 Sean Hannity gleefully showed viewers two graphics inspired by police evidence boards on his Wednesday, April 11, 2018 show. The first, entitled “The Clinton Crime Family?” showed a photo of President Bill Clinton along with First Lady Hillary Clinton that appeared to be tacked on a cork board — along with red strings linking their connections to Loretta Lynch, Anthony Weiner, Eric Holder, among others. Next up was “The Mueller Crime Family?” slide — with a similar design — one that is also sometimes seen in movies and TV shows to help fuel conspiracy theories and plot crimes. 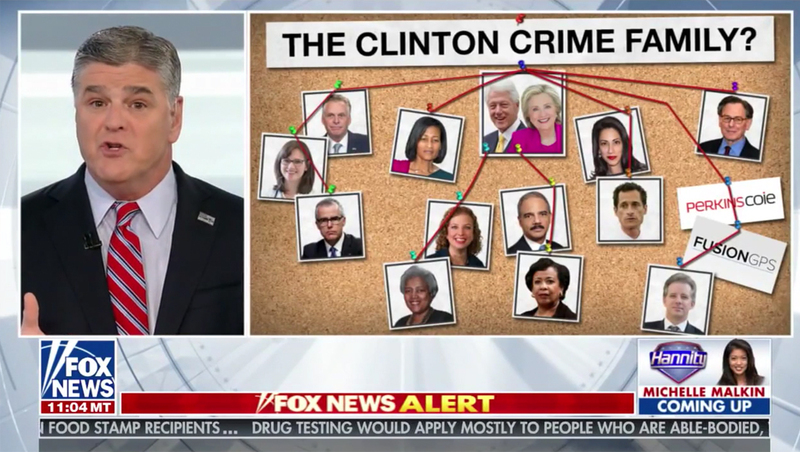 Both images were show split-screen style with Hannity taking up approximately the left third of the screen and the police evidence board inspired graphic taking up the remaining two thirds.